We offer a single source of support for GSM network operators with its wide range of services for data clearing, financial clearing, and other value-added and customised services. Clients have access to all roaming partners and other clearing houses and roaming hubs through EDCH. 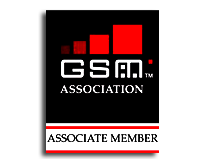 Its simplified roaming services and reliable data service meet the standards set by the GSMA, even as EDCH continues to grow as an intelligent and reliable roaming and revenue partner. Our vision is to be the preferred supplier of roaming and telecom relationship services. To that end, the organisation continually nurtures and maintains partnerships with leading organisations, worldwide. It also organises and participates in forums, events and group meetings. Some of EDCH’s current partners include the GSM Association, Accuris network, Tango Telecom, Globitel, InfoBip, Optech, Roamsmart, UTTR, and Etisalat Academy. We are constantly upgrading our products and services in its pursuit of excellence and customer satisfaction. As the largest mobile services data clearing house in the region, it has partnered with top telecom and IT solutions providers to offer clients predictive information into subscriber behaviour, thereby facilitating improved customer experience. Its other innovative offerings, in recent times, include its online reporting and dashboards, a suite of tools for fraud management and reporting, RAP out recovery, advanced RAEX and tax recovery service.